If you are a musician that is Age 50 and up, join us for a musical showcase that will feature the talents of musicians in your age group. 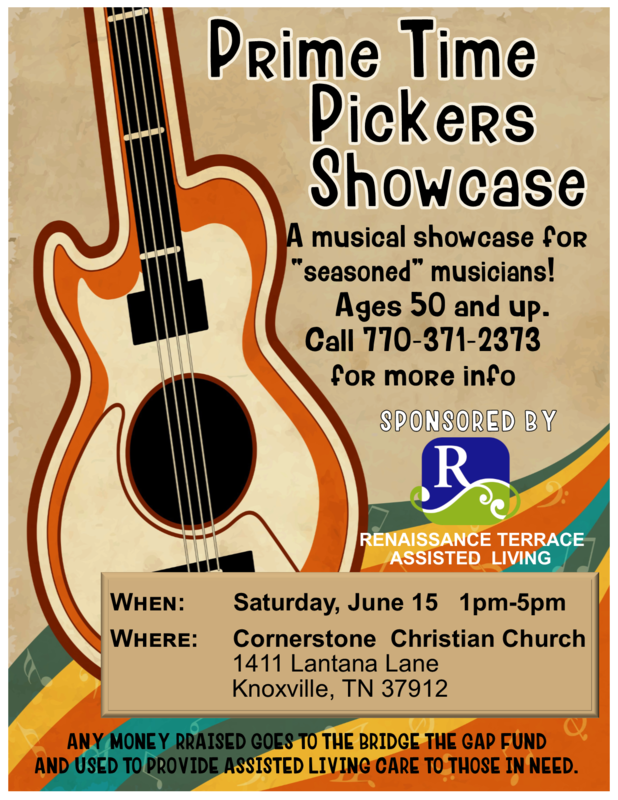 Prime Time Pickers Showcase will feature “seasoned” musicians doing what they have had years to practice, playing great music. Share this event with everyone you know that might be interested. You must be registered and up to two (2) song choices submitted by May 1st. NO DUPLICATIONS so hurry up and get registered!